I get that no one goes to Rio to stay indoors. The whole point is to enjoy the beach, nature, the outdoors…however, Rio has some funny weather, and every now and then, we’re caught in a storm with nowhere to go. For those rainy days in Rio (or for the days when your skin just needs a break from the sun because you totally forgot to slather an extra layer of SPF), here are some fun, cultural, indoor activities. Out on Aterro in Flamengo, MAM sticks out with its rationalist architecture. 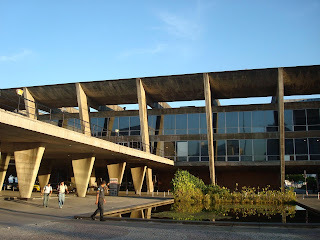 It is considered the dominant art museum in Rio and one of the country’s cultural hubs. 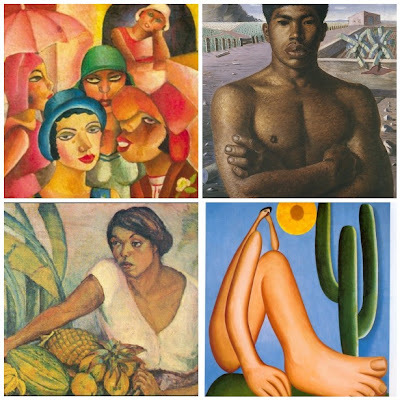 MAM hosts the Chateaubriand collection, considered the most complete collection of modern and contemporary Brazilian art, including 4,000 pieces, from artists such as Anita Malfatti, Tarsila do Amaral, Di Cavalcanti, Portinari and Djanira. The museum also has temporary exhibits, and as any building located on Guanabara Bay, MAM boasts a gorgeous view. Key works by Brazilian artists. 1st row: Di Cavalcanti, Portinari. 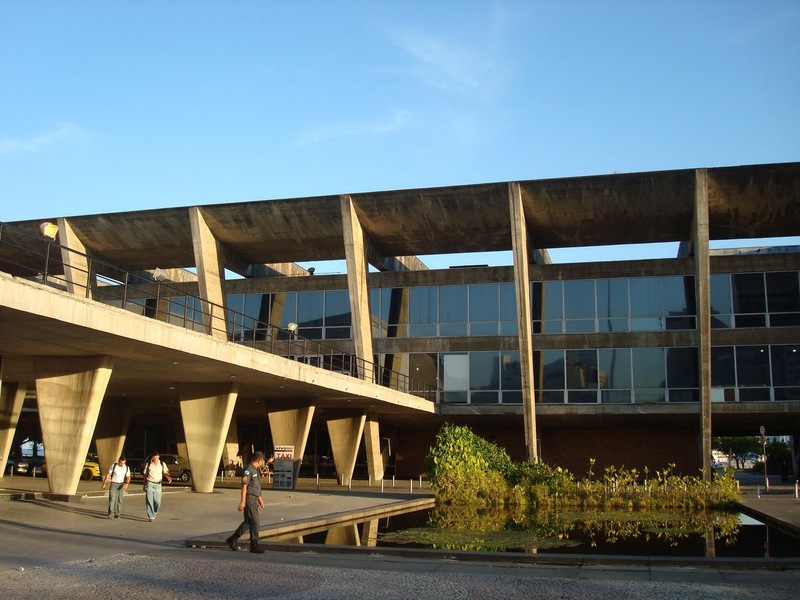 Designed by renowned architect Oscar Niemeyer and completed in 1996, MAC quickly became one of the city’s main attractions. Granted, it’s not technically in Rio (it’s in Niteroi, across Guanabara Bay), but it’s definitely worth the trip. The museum hosts beautiful Brazilian contemporary art, has an amazing bistro, and perhaps most importantly, offers the most gorgeous view of the city of Rio. Yes, the cariocas like to joke that the only good thing about Niteroi is the view: Rio! The National History Museum is located in the historic center of Rio. It has over 287 thousand pieces pertaining to Brazilian history, such as documents, coins, furniture, etc. Among the permanent exhibits, there is an automobile display, featuring a Protos car, one of the two left in the world. 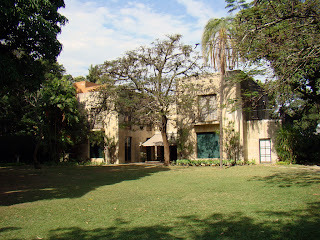 The building is also worth visiting for its colonial architecture. This is one of my favorite museums/cultural institutions in Rio. The exhibits are always fascinating (the most one was an M.C. Escher exhibit!) 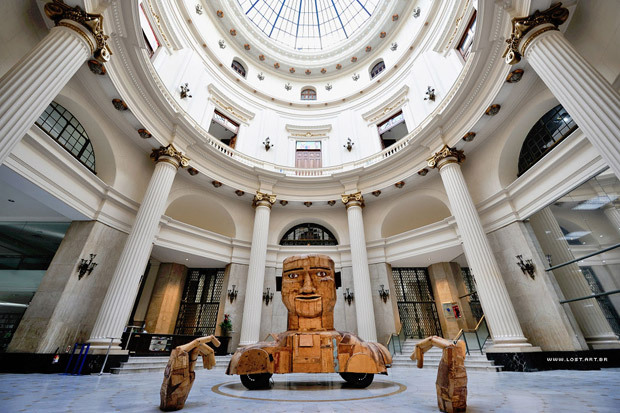 It features a permanent exhibit regarding the history of Banco do Brasil, the original central bank. For the economists out there, I think it’s really interesting (many, many coins and money in display! 🙂 Additionally, CCBB also has multiple media exhibits, focusing on music, plays and even animated featurettes. It’s definitely a stop worth making when you’re visiting downtown. Also, the building’s architecture itself is gorgeous! 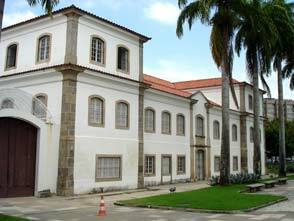 Located in Santa Teresa, Museu da Chácara do Céu is a little more off-the-beaten off. The location is fabulous, integrating the building into the gardens, with an amazing panoramic view over the city and Guanabara Bay. The museum has an European art collection, with paintings and drawings by Matisse, Modigliani, Seurat, Degas and Miró, and an extensive Brazilian art collection by artists such as Di Cavalcanti, Iberê Camargo and key pieces from Portinari’s work. One of the most fascinating collections in the permanent exhibit is Brasiliana, which includes 17th through 19th century maps, oil paintings, watercolors, and drawings of travelers who came to Brazil in the colonial period. These include valuable lithographs by Jean-Baptiste Debret, among others. If art and history aren’t really your things (shame on you! ), then you can always enjoy the beautiful precious gems exhibit at the Amsterdam Sauer Museum in Ipanema. It is the largest private collection of gems and minerals in South America. I’m pretty sure the museum is free, although you may feel tempted to splurge on the (very) expensive pieces in the showroom as you exit. Do you secretly wish you could have visited Rio during Carnaval? Do you desperately wonder what the costumes and floats are all about? Well, this is the place for you! Technically, Cidade do Samba isn’t really a museum, but I like to think of it as such. 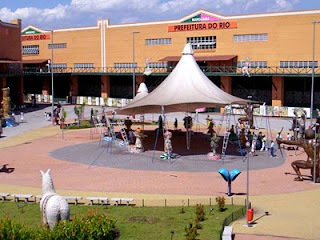 This is where the famous samba schools design and prepare for the annual Carnaval parade. The only schools which get a display and workroom in the pavilion are those in the elite Special Group, i.e. the most elaborate (and best) schools. 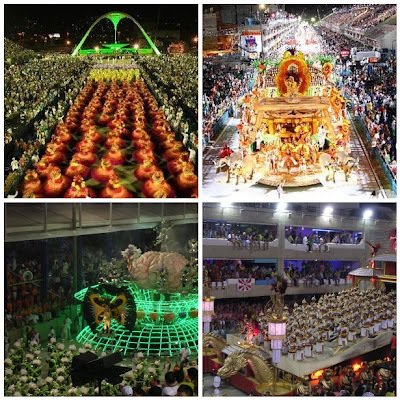 The pavilion includes production of parade floats, costumes, fiberglass sculptures and other Carnaval needs. Word to the wise: if you’re visiting Rio shortly after Carnaval, prepare to be remotely disappointed. The best months to visit Cidade do Samba are those before Carnaval (November-Carnaval), as production for the events are nearing and the pavilion is loaded with costumes and floats. Oh, and if you missed Carnaval, here’s your chance to enjoy a sample version: every evening there is a samba show at Cidade do Samba, including percussion, costumes, and yes, barely clad ladies dancing samba for the gringo’s entertainment. This is what they all work for. Visiting Rio: For the Foodies! Obrigada pelo recadinho no blog. Procurei seu e-mail para te enviar o contato do formecedor do barril de cahaça, mas como não achei, vou colocar aqui mesmo. Ele é de MInas, mas entrega em todo o Brasil. Acabei de achar o e-mail. O MAC é o meu amor, tanto que me casei lá! rs. Ei Helen, estou adorando ver sempre a sua presença no meu cantinho! Obrigada pelo carinho! Quanto às sacolas eu também estou achando ótimo a extinção das sacolas plásticas, passou da hora ne! Pelo que sei, essas que são permitidas chegarão a preço de custo ao consumidor, algo em torno de R$0,19/cada. Aos poucos as pessoas passarão a levar suas próprias às compras! E vamos torcer para a “moda” pegar no país todo! É tudo uma questão de cultura, se funciona por aí, pq não pode funcionar em todo lugar né!